Paine’s Inc. Recycling & Rubish Removal is a recycling and disposal services company based in East Granby, Connecticut (north of Hartford). 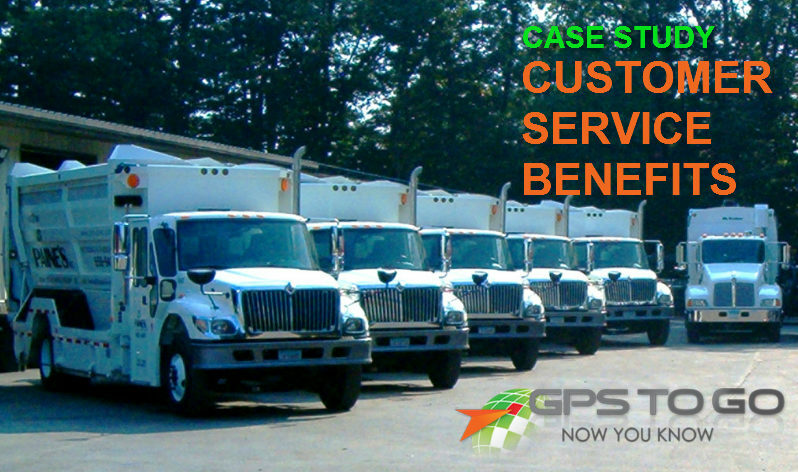 The company receives some of its work from local municipalities, so when a requirement of GPS tracking was put into place, Paine’s needed a solution that fit their business. Russell Paine, the company’s vice-president told Geotab.com how his organization went through an extensive, four-month-long process to choose a GPS provider. They set up presentations from at least 8 different GPS providers, and ran them through a series of questions to ensure that their offerings would meet the needs of Paine’s business. At the end, there was only one company’s GPS offering left standing: Geotab. No contract, no hassle, no obligation. There are no contracts to sign and you’re free to walk away at any time. Companies that depend on other organizations for work (like local municipalities) find this extremely beneficial – allowing them to pivot quickly if their scale or scope of work changes without much notice. Best-in-industry value. In comparison with many other offerings, Geotab offers unbeatable bang for your GPS fleet tracking buck. As Paine notes, the devices have continually become smaller, more affordable and easier to install since they started working with them a number of years back. Great assistance. Geotab prides itself on support, so if you need a hand to help get a question answered, or troubleshoot some sort of issue, you can rely on the company to help you quickly. The company is confident that in Geotab, they’ve made the right choice for their organization. Among the benefits that they’ve seen include the following. The company notes that they have seen improved Safety and Driver Compliance. Check out some of the common ways that fleet tracking can make your employees drive safer. Paine’s has found the data collected by Geotab tracking units to be useful in the unfortunate event of an accident, providing hard data to determine the facts surrounding a collision or incident. The company has not seen a backlash from drivers over use of GPS fleet tracking; instead, drivers understand the benefits and that the data can support the great-quality work they’re doing on a daily basis. If you have drivers on the road every day, you need the competitive advantage provided by GPS fleet tracking. Get rolling with Geotab using our famous $50 GPS Trial Offer. We send you the device or devices and you try them on your fleet. When you’re ready to buy, we credit the $50 to your account. Not fully convinced? No problem. With GPS to GO there’s NO contract, NO hassle, NO obligation. Give it a try and see the amazing business benefits provided by GPS fleet tracking first hand. Contact us today for a demo or a quote.